Funny Christmas Cards are so much fun! I’m a family portrait photographer in Naperville, IL, but also create portraits and holiday cards for families in Chicago and the western suburbs. 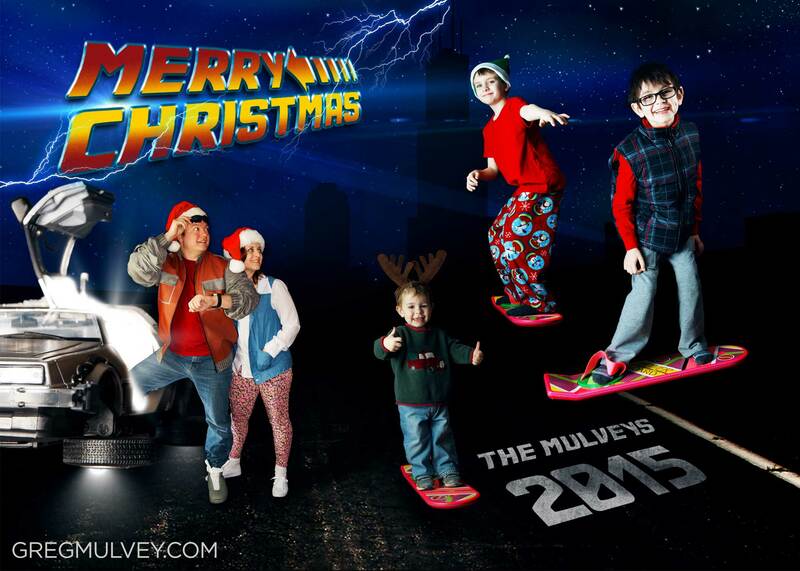 Every year I like to get creative with our family Christmas card and with it being 2015 we of course had to make it Back To The Future themed! This is probablly more of a creative and cool Christmas card then some of my past funny Christmas Cards. When my wife and I got married we had a DeLorean Time Machine from Back To The Future waiting for us outside of the church so we had to travel into the future before heading to our reception. Coincidentally our third son was born on October 21st which happens to be the day Doc, Marty, and Jennifer travel to in Back To The Future II. So for his birthday this year, which was on “Back To The Future Day” we made a video that revealed where we went the day of our wedding in our DeLorean! For our Christmas card I thought this would be a perfect opportunity to show off a new service I’m providing to all my customers called Live Portrait. It allows you to view a video directly on a photo via your mobile device! Imagine having a beautiful portrait of your kids on your wall and then holding your phone up to it and being able to watch a short video of that moment! You really have to try it out for yourself. 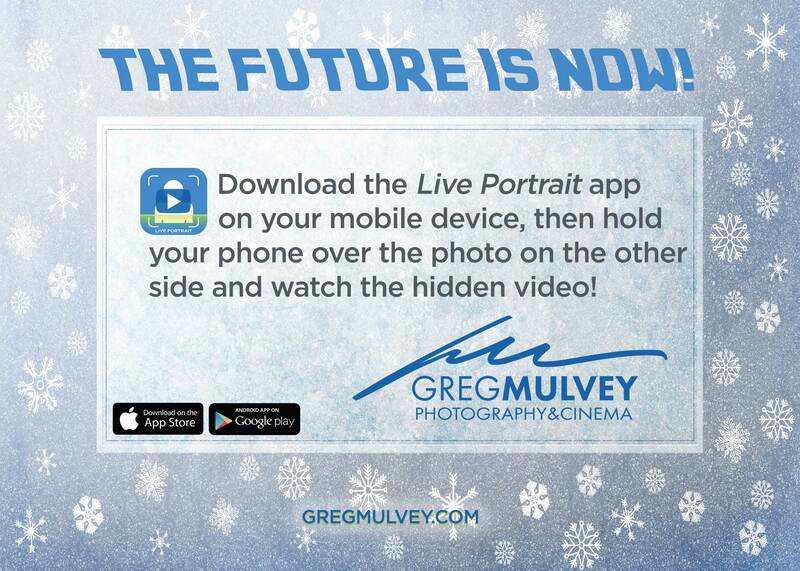 First download the “Live Portrait” app from the Apple App store or Google Play. Then open it up and aim your phone at our Christmas card. Then watch the magic begin! Here is a demo I made, but it is much cooler if you download the app and try it for yourself! Greg is the Lead Editor & Motion Graphics Designer for the world famous comedy theater The Second City. He also is a professinal photographer and cinematographer. Join my mailing list to receive the latest news and updates as well as coupons and discounts. Join my mailing list to receive the latest news and updates as well as coupons and discounts!